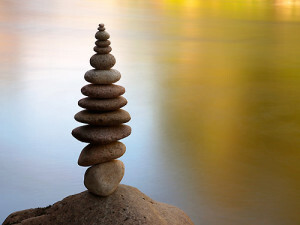 Mindfulness is a path to balance and well-being. To be mindful is to be truly alive. A bespoke personal practice experience will be designed for you, combining Mindfulness meditation, yoga, outdoors experience and time to just relax. Whether you are new to Mindfulness or wish to take your practice to the next level, this programme supports your cultivating presence, inner resilience and joy. A team of qualified teachers will guide you through five days tailored to your individual needs. Daily one-to-one Mindfulness sessions include meditations, exercises and reflections. You learn how to bring Mindfulness into every-day life, and a personalised practice plan will be developed to support your ongoing practice at home. Yoga sessions are aimed at strengthening your mindfulness of the breath and body and clarity of mind, guiding you into deeper embodiment. And finally, enjoy going wild with a guided outdoors experience in Scotland’s fine scenery. Enjoy the nourishing environment and warm, friendly atmosphere of Newbold House as well as lovingly home-made, wholesome food. There will be time to relax and unwind and to go for strolls through the fields and woods on your doorstep. Dates & times: Tailored Mindfulness retreats are available all throughout the year based on the availability of accommodation and teachers. During the 2018 season you may have come across a baby grand piano at Inverewe Garden, exposed to the elements. The outdoors piano, embedded in the multi-sensory landscape of the Garden, served as inspiration for this collaborative exhibition. Artists Adrian Hollister (photography), Lydia Muijen (poetry) and Susanne Olbrich (music) entered a creative dialogue with the Garden and the seemingly out-of-place musical instrument. Attuning to sound worlds and visuals and the tales they are telling, the artists invite the audience to join them on a journey of listening with all the senses. Photographs, poems, recorded soundscapes and live music weave stories of discovery, of surprising juxtapositions, of ecological processes. Owls, bats, the wind and the ocean are waiting to be heard and discovered in new ways. The baby grand emerges as a sensuous instrument to be played in multiple ways and places. As wood is rotting, strings are oxidising and the elements join in with the playing, the piano may offer sounds never heard before. This exhibition, which finishes the season, will be launched with a live performance and will include poetry, photography and audio-visual installations inspired by the Garden during the 2018 season. Meet the artists at the launch of their exhibition. Lydia Muijen was Inverewe poet in residence during 2017, from which a book of poems will shortly be published. With a background in film and theatre, her works have been published internationally. Adrian Hollister is a professional photographer and workshop leader. His works of both landscape and documentary portraiture have been widely published. He is also Honorary Curator of the Sawyer Gallery. I loved the freedom to explore my creative side, the unusual instruments invited me forward. Thanks for the gentle encouragement to come and explore. The Sounds & Silence weekend was delightful! Continuations is a seriously good album. Exquisitely colourful compositions, beautiful playing and a lovely balance between the meditative and the celebratory. 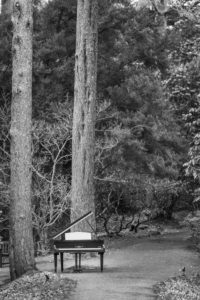 A grand piano, exposed to the elements at Inverewe Garden, served as inspiration for this collaborative exhibition of audio-visual installations, poetry, and photography. © 2014–2019 Susanne Olbrich, all rights reserved.